Welcome to the Mercure Hotel München Freising Airport. You can reach us from the international airport in just a few minutes by bus, by taking our shuttle service or by taxi. The historic center of Freising is just a few minutes' walk away. 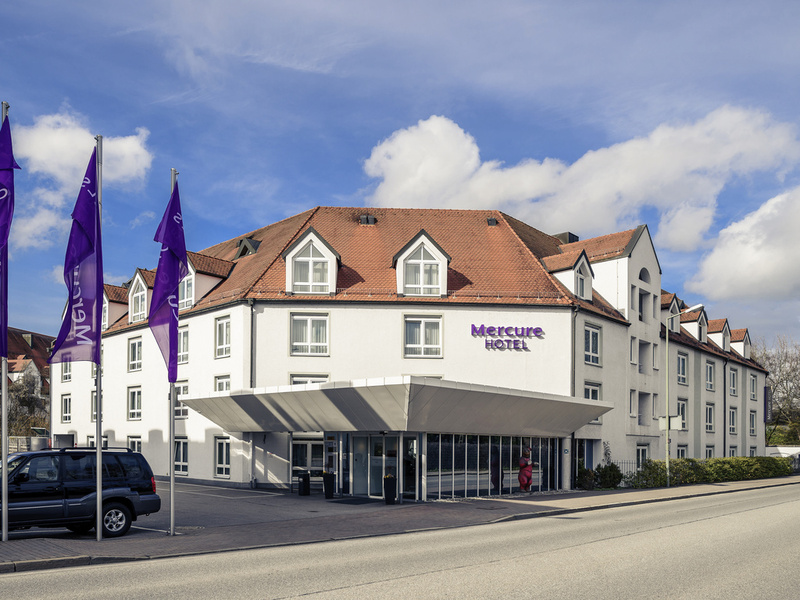 The 4-star Mercure Hotel München Freising Airport offers easy access to the airport and Munich city center and also offers meeting facilities, making it perfect for leisure and business. Take a break in our rooms, the beer garden and the sauna area and enjoy regional specialties in our historic vaulted cellar. The hotel is located in the center of Freising, close to the cathedral. The Therme Erding spa, the Weihenstephan brewery (the world's oldest brewery) and the Allianz Arena are all easily accessible. BY CAR If travelling from the A92 highway, take the Freising-Mitte exit. Continue towards Freising/Stadtmitte until you reach state highway 2350. The road continues onto Dr.-von-Daller-Straße. Keep following the road. The Mercure Hotel München Airport Freising offers Standard, Superior and Privilege Rooms, as well as Suites. Free WIFI is available throughout the hotel. One child aged up to 12 can stay in their parents' room for free. Pets also permitted for a fee. If you enjoy fine international cuisine and hearty Bavarian specialties, you will be in culinary heaven at our restaurant. We also open our beer garden in summer. In the historic vaulted wine cellar, our evening restaurant and bar "Dampftheo" is cozy and inviting. Alongside beer and wine, you will also find fine international cuisine and hearty Bavarian specialties.